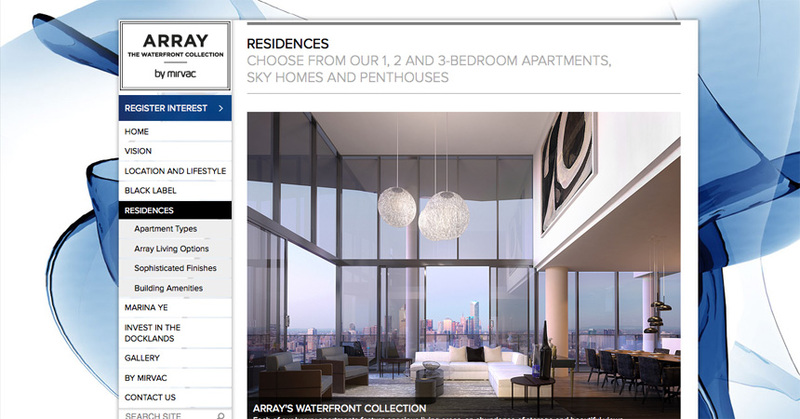 I edited and rewrote text for a website promoting Array, by the Mirvac Group, in March 2012. 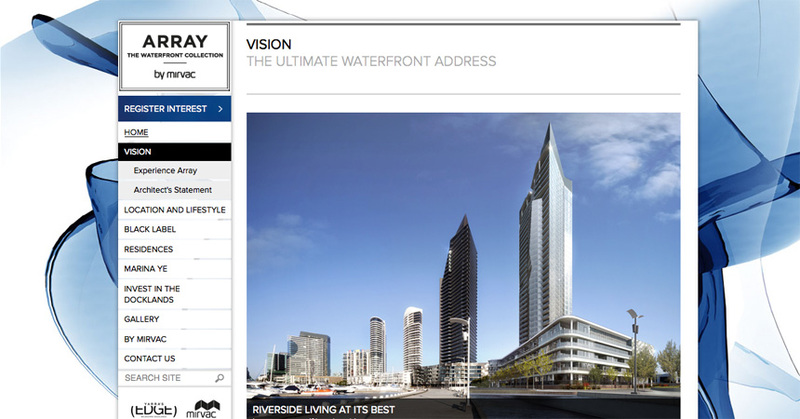 The Mirvac Group is a large real estate development company based in Australia, and its new development, Array, is a high-rise tower of luxury apartments, located along the Yarra River in Melbourne. 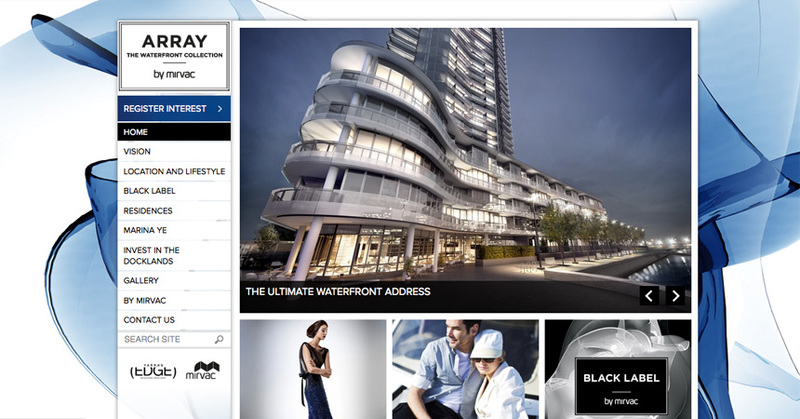 To view the website and read the pages I edited, please visit the Array by Mirvac website.